Released in June 2018, “Brain On Fire” is a Netflix original film featuring a young, female journalist who develops a rare disease, leading her down a long road of misdiagnoses, unexplainable pain and feelings of hopelessness for both her and her family. 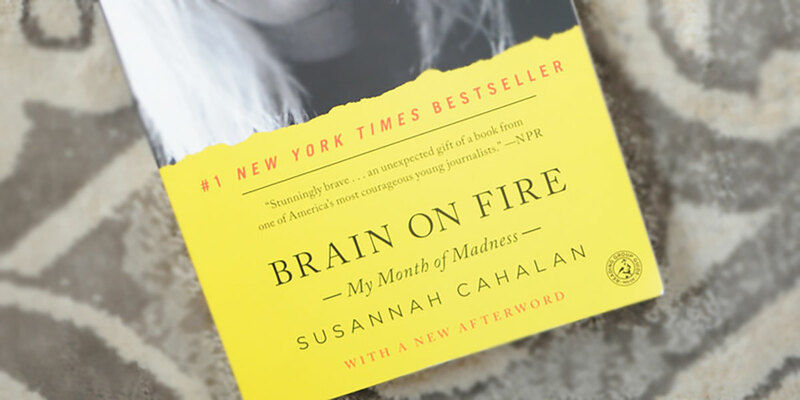 “Brain On Fire” is based on a true story that was first written in a novel by Susannah Cahalan and originally published in 2012, before its Netflix release. Perhaps my interpretation of the movie’s description is off base — or perhaps the 13 percent rating on Rotten Tomatoes is simply accurate — but the storyline seemed a bit anticlimactic. Main character, Susannah (played by Chloë Grace Moretz), experiences gradual symptoms at the start of the film, beginning with seizures and hearing strange voices in her head. But within weeks, Susannah cycles through stages of violence, insanity and eventually catatonia. The Netflix summary of “Brain on Fire” appeals to those who take interest in dark, dramatic movies, but as summaries often do, this written sneak-peak of the film fails to give a completely accurate synopsis. One review, posted on metacritic.com, described the story’s execution as “a little too flat in the delivery,” and I’m not sure I could have said it better myself. While Moretz doesn’t play the role of Cahalan poorly, she does fail, at times, to portray the extent of Cahalan’s pain, especially considering the severe mental battle she faced as she wondered whether she was dying or simply going crazy. In 2009, Cahalan began to experience paranoia at work, leading her to a downward spiral as both mental and physical symptoms increased. When the hallucinations and seizures became consistent, she sought help from multiple doctors while living in the hospital for a month, and the $1 million in tests revealed nothing. Cahalan and her family faced loss and hopelessness, until one special doctor, who greatly pursued Cahalan’s case, found her diagnosis and announced that her brain was quite literally on fire. The real-life experience that inspired Cahalan’s original biography is powerful, so the story itself deserves praise, but the movie’s dull plot and frequent cliches do not do the story justice. While the beginning does captivate its viewers with the suspense that builds from the mystery of Susannah’s illness, the entire middle portion lacks climax and feels drug-out, as if intimate details were thrown into a simple timeline. As the final credits show, “Brain on Fire” leaves viewers dissatisfied, sensing the absence of an emotional piece to the story’s puzzle, a piece that should fuel a sense of inspiration and completion.